B&W is taking its talents to Akron. 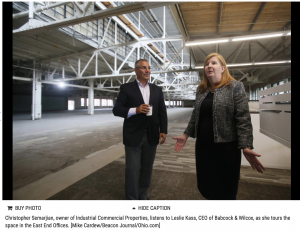 Babcock & Wilcox Enterprises will relocate hundreds of employees from Barberton and Copley to Akron — and also move its headquarters from Charlotte, N.C., to here. B&W’s new corporate offices will be in the East End Offices, Goodyear Tire & Rubber Co.’s former headquarters on East Market Street. The move is expected to take place no later than next summer. B&W notified employees of the move Monday.